How often have we heard that adage? 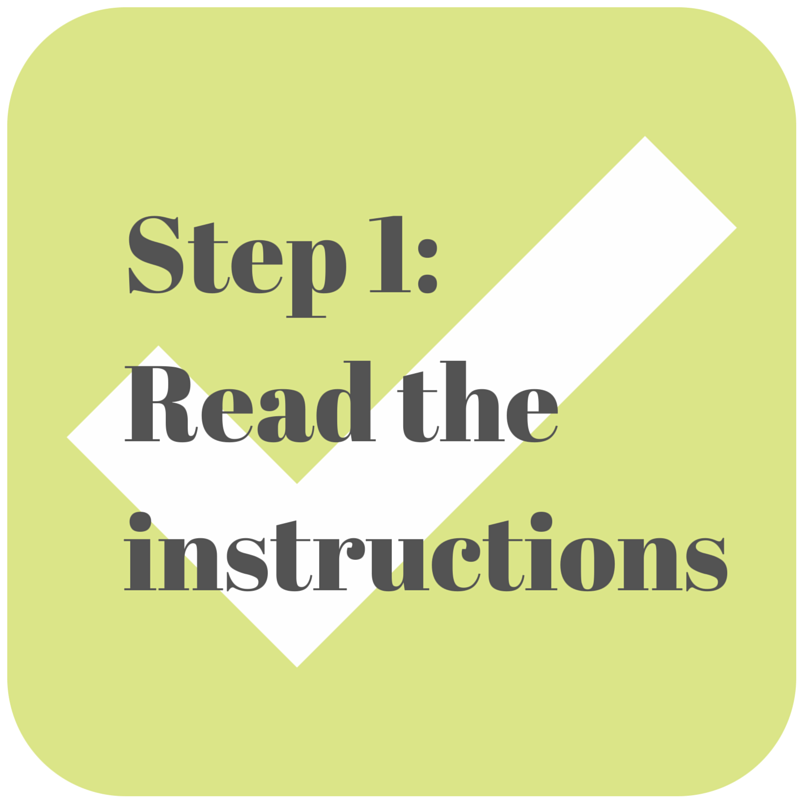 How about reading the instructions before — and instead of — failing? It’s a strategy we should use in our genealogy. 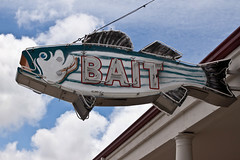 It’s easy to be lured into searching a new website or a new database because its title seems to include everything. When we don’t find what we’re looking for, we go away thinking that our ancestor wasn’t <fill in the blank> — wasn’t born in that place during that time, wasn’t married in that state, wasn’t buried in that cemetery. The problem with that conclusion is that it could be totally and completely wrong. Fortunately, there is a way to get around this. A friend of mine on Facebook shared that FamilySearch has updated its collection of Ohio death records: “Ohio, County Death Records, 1840-2001.“ Death records for Ohio through 2001?! Awesome! Index and images of death records from county courthouses. In some instances we did not have rights to publish images of records included in the index. Most of the records in this collection are death registers created before statewide death certificates in 1908. 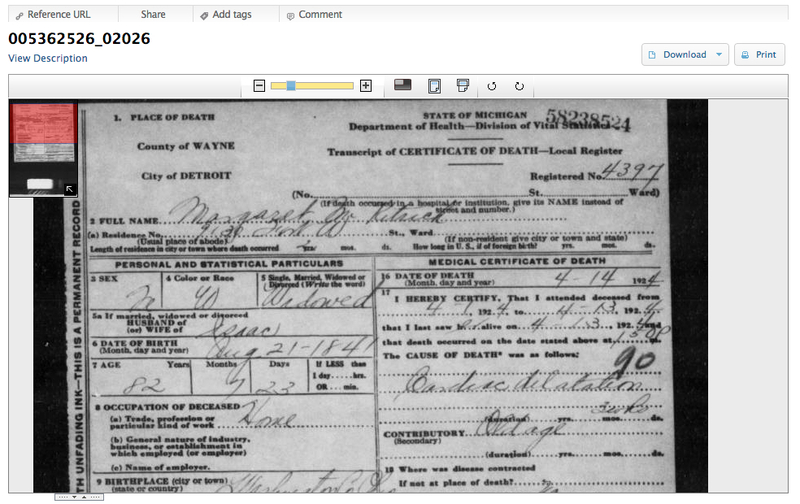 Death certificates issued by the state are published in the collection called Ohio Deaths, 1908-1953.1)FamilySearch, Ohio, County Death Records, 1840-2001. Accessed 13 January 2015. This is our clue that this doesn’t have all of the death records for the entire state of Ohio from 1840-2001. Unfortunately, there’s no direct link to tell what is included. For that, we can browse the collection and look at what is included for individual counties. Belmont County has death certificates ranging from 1940 through 1982 (for some letters). Athens County has Death Records, 1867-1908 and Soldiers burial records, 1898-1912. Delaware County only has Death Records, 1867-1907. Archives have followed this pattern for years. It’s common practice to name a collection with the date of the earliest record and the date of the newest record that it contains. “Smith family papers, 1830-1912.” Sometimes they will add to the title “[bulk 1861-1895]” to indicate that most of the records are in this time span. (Yes, the Smith family papers has something dated 1830 and 1912, but most of the papers are from 1861-1895.) However, sometimes it’s in the collection’s description and not the title. You would think that a book that’s titled Franklin County, Ohio, cemeteries, vol. 2 Madison Township2)Franklin County Genealogical Society. Franklin County, Ohio, cemeteries, vol. 2 Madison Township. Columbus: by the society, 1980. would contain readings from all of the legible tombstones in those cemeteries. So you turn to the back of the book for the index, look for your ancestor and don’t find them. Well, they must not be buried in Madison Township (or maybe they have an illegible stone); either way, there’s no tombstone to find. Right? Wrong. If your ancestor might be buried in Union Grove. But if he died after 1920, he’s not in this book. So often, we see a website or a new database whose title tantalizes us and brings visions of finding that Brick Wall Ancestor. We dive right in, doing search after search. Sometimes we find what we’re looking for, but often we walk away without any new information. What’s worse is that we leave thinking that our ancestor wasn’t part of whatever that collection was about. It’s normal to be excited about a new database or a new book. But don’t set yourself up for failure. Take a minute or two and explore what that database or book is all about. You’ll have much more success this way. 1. ↑ FamilySearch, Ohio, County Death Records, 1840-2001. Accessed 13 January 2015. 2. ↑ Franklin County Genealogical Society. Franklin County, Ohio, cemeteries, vol. 2 Madison Township. Columbus: by the society, 1980. 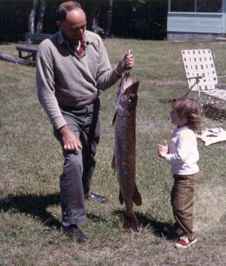 Last week, I talked about my great-grandfather Linton Alfred Johnson. This week, I’d like to introduce you to his wife, my great-grandmother Margaret Priscilla Kingery. There’s a lot I could say about Margaret (or Maggie, as she was called). But because it’s late on Tuesday night and I don’t want to break my streak of posting to the 52 Ancestors challenge in a somewhat timely manner, I’ll share just the basics. 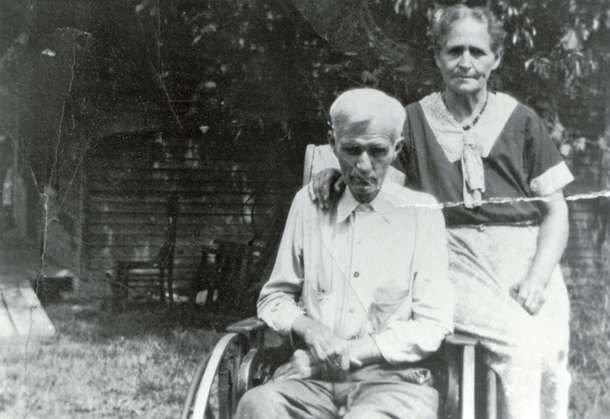 Maggie was born 19 December 1871 in Lawrence County, Ohio to John Peter and Elizabeth Jane (Murnahan) Kingery. She and Linton married 11 June 1893, also in Lawrence County. The 1940 census shows her living in Ross County, Ohio with her daughter and son-in-law, Rufus and Orpha Turner. 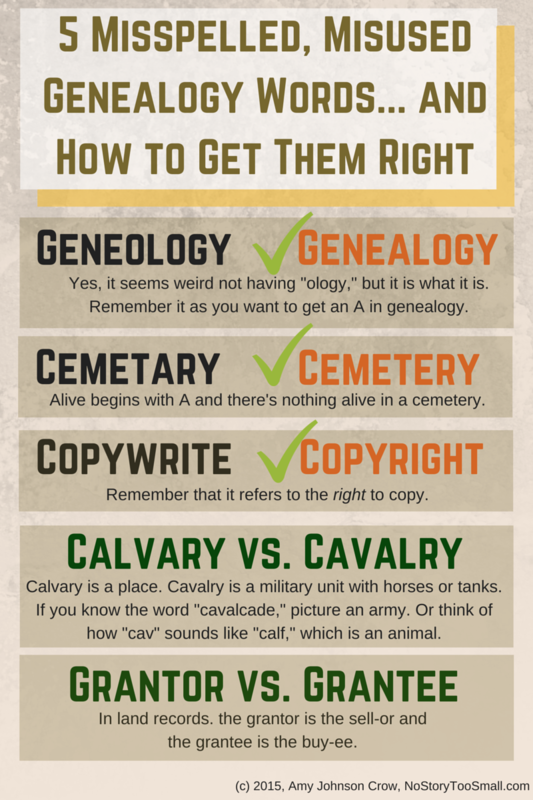 (Warning: Genealogy tip coming up!) When you’re working with a common name — like “Margaret Johnson” — you need to be careful that you’re not combining two people of the same name. You do this by (1) connecting your person with others and (2) looking at all of the records you can. 1940 Chillicothe, Ohio City Directory. 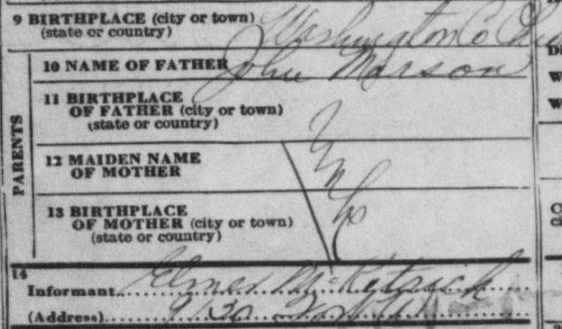 Translating from “directory-ese”: Margaret P. Johnson, widow of Linton A., residing with Rufus M. Turner. Maggie died 6 December 1948 in Columbus, Ohio and is buried in Locust Grove Cemetery in Lawrence County. Linton and Margaret Priscilla (Kingery) Johnson. Though my 52 Ancestors post last week was really short, it doesn’t mean I haven’t been writing lately. I haven’t shared much of my work-related writing here, so I thought you might like to see what I’ve been up to with my day job. “Breaking Down Marriage Records” was for the Archives.com blog. Ever get confused about all of the names and dates on a marriage record? Don’t worry — you’re not alone. This post takes a marriage record from Grayson County, Texas and explains each part. “Women of the West” was for the Ancestry.com blog. It highlights a gem of a book with short biographies of more than 1,100 women in western states. It’s a cool resource that makes me wish I had a relative out there! 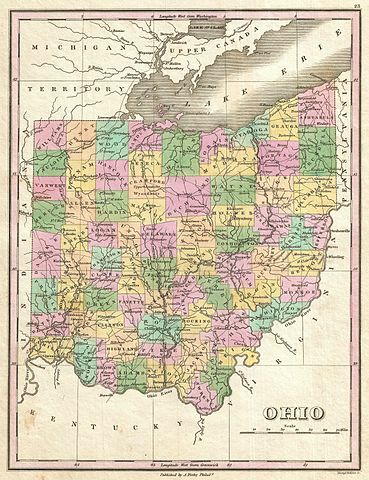 Ohio map by Anthony Finley, 1827. The piece I enjoyed writing the most was “Ohio Resources: Family History Sources in the Buckeye State.” That should come as no surprise to anyone who knows me! I love opportunities to talk about Ohio research. Hmm… maybe I’ll start sharing a bit more Ohio-based information here on No Story Too Small. In my syllabus for my session “Personalizing WordPress” at RootsTech 2014, I inadvertently left out a section that is required at the top of the CSS file (style.css) when you’re using a child theme. Oops. Put that code at the very top of the style.css file for your child theme. Upload it to the child theme’s folder in wp-content/themes. The child theme will then appear on your dashboard and you’ll be able to activate it. NOTE: updated 27 February 2015. A blog reader, sometimes called an RSS reader, lets you add your favorite blogs and then pulls in their articles as they’re published. All of that content is pulled into one place. Some readers use your browser; others are stand-alone applications. Most will let you categorize the blogs you follow. You could put your favorite genealogy blogs in one list and your favorite photography blogs in another. 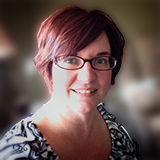 Blog readers are invaluable for following multiple blogs. 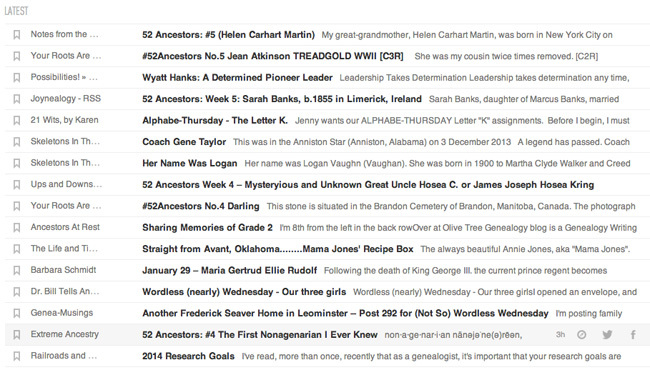 It’s how I keep track of the 270+ blogs that have said they’re taking the 52 Ancestors in 52 Weeks Challenge. 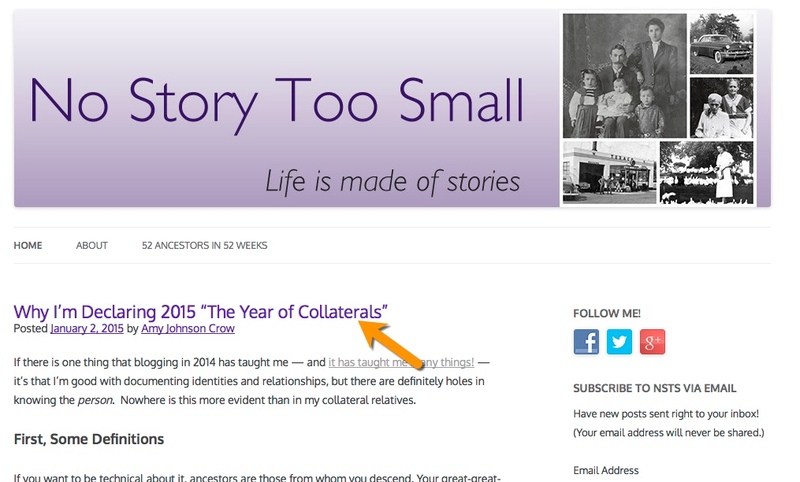 When someone tells me that they’re taking the 52 Ancestors Challenge, I enter their blog into Feedly and put it in the “52 Ancestors Challenge” category. Whenever there’s a new article on that blog, it automatically shows up in my list on Feedly. Here is a screenshot of part of my feed from earlier today. There are many display options. I currently have it set to show just the posts that I haven’t read. You can also have it display in a more graphical mode. I like the list view. It gives me the name of the blog (on the left), the post’s title (shown in bold), and the first few words of the post. It makes it easy to scan for the posts I’m looking for. If there’s an article I want to read, I can click the post’s title and read it within Feedly or click an icon and have it take me straight to that blog. First, create an account on Feedly (it’s free). When you find a blog that you want to follow, copy its URL. Go to Feedly and paste it into the search box in the upper right. Feedly will give you a list of possibilities; if you use the URL, there should be only one. Click on that name. Feedly will show you a list of recent posts from that blog. If that’s the blog you want to follow, click the green “+Feedly” button and add it to the list of your choice. Click that green “+Feedly” button and add it to the list you want it in. Ta da! You’ve now added that blog to your Feedly reader! Some blogs (like this one) have added a button that will take you directly to that blog on Feedly, allowing you to skip the search step. If you have several blogs you enjoy following, give a reader like Feedly a try. It will make finding all of their new posts a lot easier!